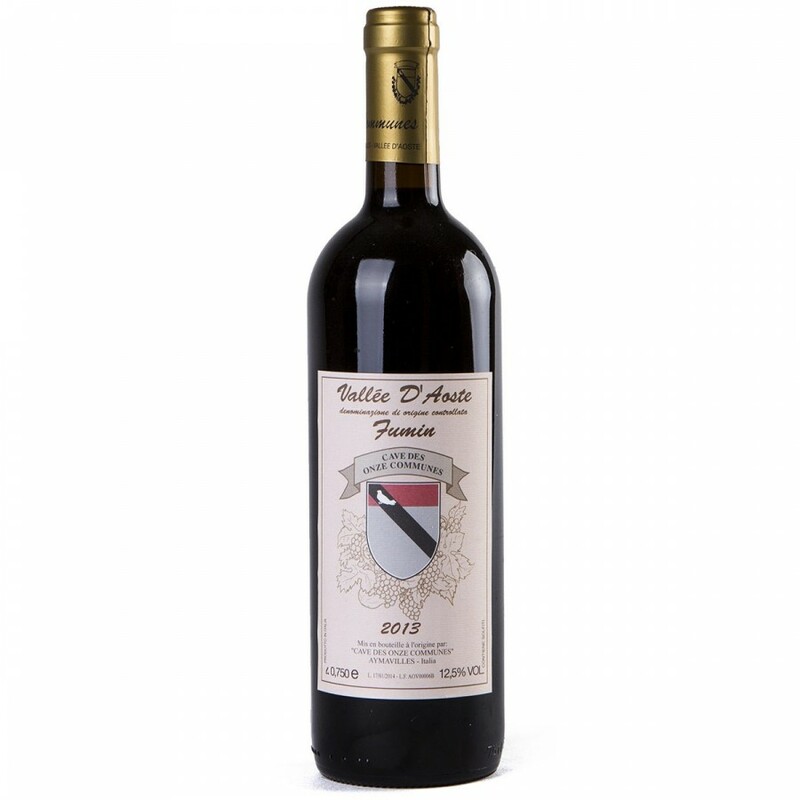 Description: Fumin is a native Valle d’Aosta grapevine. Mallow red in color, strong and almost impenetrable, its fragrance is intense, persistent and typical of wine, with strong notes of fruit preserves and berries on a spicy licorice background, harmonizing well with the slight smoky scent of aging wood. Taste is dry, full, soft, rich in body and structure and with a pleasant final flavor of austere and soft tannins. A great match for wild game, roasts, grilled red meat, aged cheeses and Valle d'Aosta fondue. Producer: Cave Des Onze Communes.